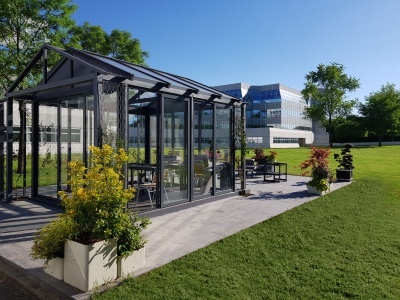 Bouygues Bâtiment International has chosen Plam Hardening to create the floor of the elegant patio in the garden of its Headquarters in Versailles. The monolithic concrete floor of Isoplam® can be customized with decorative effects of great value: the French company has chosen a wood mold with a light finish. Beauty and resistance, in harmony with the natural context.